June 29 musing the news….listening to President Obama’s press conference and liking…”the tide of war receding”, “Leaders are gonna’ lead and do tough things.”, seniors shouldn’t suffer when tax breaks for corporate jets are okay, getting rid of outworn regulations, trade deals must re-balance, bi-partisan balance must be established, debt reduction part of job growth, ending the breaks for oil companies…and that phrase ‘shared sacrifice” rings so true. It’s been a while – since March – since he’s answered media questions on air and I come away from the TV knowing the Republicans will go to the last second before the August 2 deadline for US default (that’s a bad thing) and Obama’s caught on to the Johnson technique of solving problems in back rooms (that’s a good thing), Let his critics stand in his shoes and stay sane. He laughs at criticisms…gave me confidence that he’s on top of many inherited challenges and new problems. I can visualize the “Damsels in Delusion, Bachmann and Palin facing today’s economic fragility, world at revolution, why Guantanamo?, social-security and medicare-cuts news media questions…Can you imagine “The Damsels” specific answers to deficit and debt reduction and how to improve the transportation infrastructure? That’s not a pretty picture for sanity for the elderly or a scenario for the jobless or me. Go Obama! I’m not gonna’ “bite the hand that’s trying to feed me.” That was the Blog and here comes your forecasts…. …June 30, 2011…a #4 Getting-Down-To-Brass-Tacks-World-Wide Day: Reconstructing…Ideas are born & New Products Patented, New Techniques Implemented: Building for the future. In your lifestyle: Nothing comes easy – it’s a work day. A reality check: Living up to plans, keeping schedules, maintaining budgets and possessions, useful products are purchased. Put off flights of fancy, risk-taking and spending money for fads and fashions. Shut off the lights when you leave a room, do laundry and thorough cleaning and manage your money practically: Accomplish tangible results and do enduring jobs today. Generally compatible Birthday numbers for #30 are: #1 (need practical focus), #5, #6, #7 (opposites attract), #8, #9 (need practical focus), #10 (need practical focus), #12, #14, #15, #16 (opposites attract), #17 (lucky with business & money), #18, #19, #21, #23, #24, #25 (opposites attract), #26, #27 (need financial focus),#28. Incompatible numbers find #30 idealism, focus on sensuality and multiple interests uncomfortable. If June 30 is your birthday, you have a magnetic personality, charm and the ability to organize your mind to do great things. You do well expressing artistically and have the cleverness to be skillful, the energy to tackle big jobs and you are quality conscious. When on a practical course, you have the organizational and systematic mind to be a surgeon, lawyer, judge or a physician. A conventional lifestyle and specific career specialty keep you balanced mid-life and love, romance and rewards for work well done meets you in old age. In 2011, focus on organizing, building and stabilizing…get your affairs in order (draw up a will, plan a retirement fund)…maintain your home and possessions (does the house need a new roof? Have you had your yearly physical? )…correct mistakes and think practicality and penny-pinching. Check plans in progress for detail corrections and above all keep busy working. No vacations and a sensible approach to money puts you in line for freedom from restrictions, travel for fun and new enthusiasms, situations and people in 2012. In 2011 wear the color green to attract friends and associates who help you conserve assets. Your 2011 lottery numbers are: 4, 12, 20, 22, 24, 31. Celebrities born on June 30 are: Garret Anderson (Actor), Phil Anselmo (Singer), Fantasia Barrino (American Idol), Lizzy Caplan (Actor), Harry Blackstone Jr (Magician), Cheryl Cole (Singer), Marton Csokas (Actor), Vincent D’Onofrio (Actor), David Frum (Political Commentator/Speech Writer), Rick Gonzalez (Actor), Rupert Graves (Actor), David Alan Grier (Dancing With the Stars) Susan Hayward (Actor), Lena Horne (Singer/Actor), Deirdre Lovejoy(Actor), Matisyahu (Reggae Singer), Michael Phelps (Olympic Swimmer), Monica Potter (Actor), Mike Tyson (Former Heavyweight Boxer). For your June 30 Birthday Life forecast order YOU ARE YOUR BIRTHDAY available at www.ellindodge.com \ click on BOOKS. 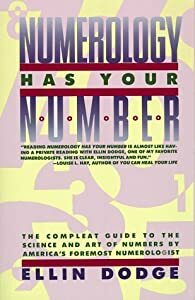 To see excerpts and to order books by Ellin Dodge: NUMEROLOGY HAS YOUR NUMBER, YOU ARE YOUR FIRST NAME, YOU ARE YOUR BIRTHDAY, WIN THE LOTTERY! and FROM ACE TO ZUMMO click on BOOKS at WWW.ELLINDODGE.COM now. You are currently browsing the archives for the June 30 Blog and Numerology Forecasts category.